This includes the written word, visual images and oral communications. Reading, writing, listening, and talking form the basis of children's literacy learning. Children need lots of language together with a wide variety of experiences. Sharing books and reading is a vital activity for children's development. 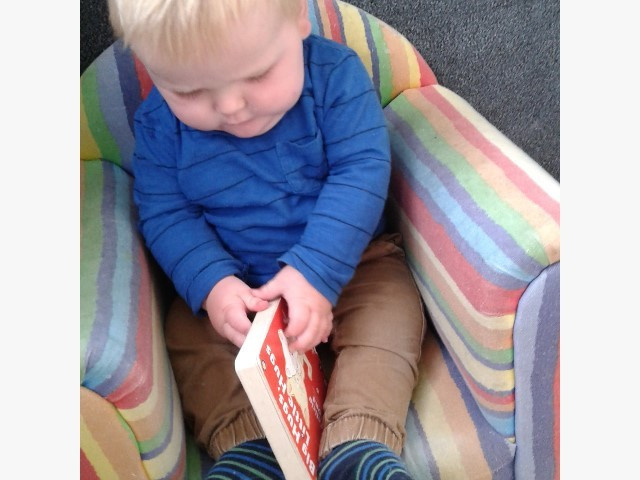 Children who experience and enjoy reading books with others develop a positive attitude towards books. 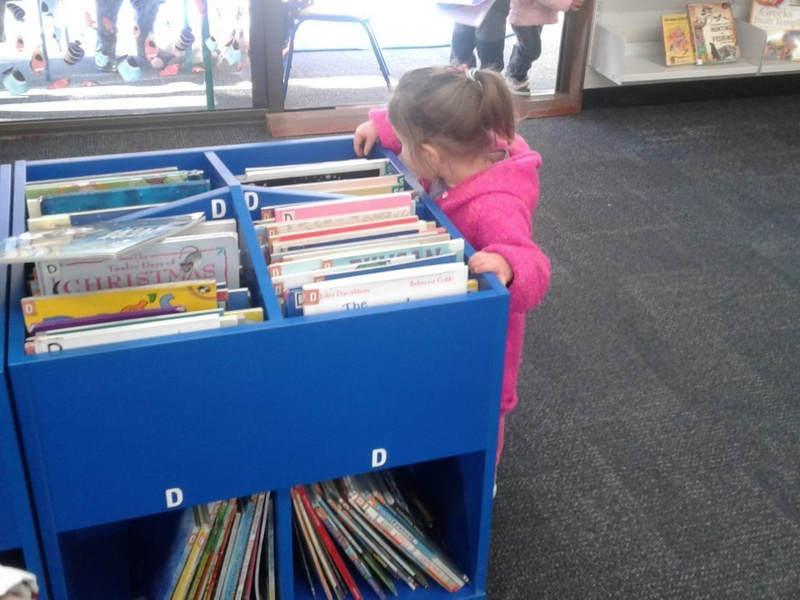 This will help them when they learn to read. 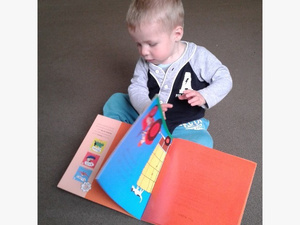 Sharing books and reading is a vital activity for children's development. 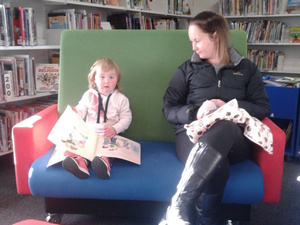 Children who experience and enjoy reading books with others develop a positive attitude towards books. 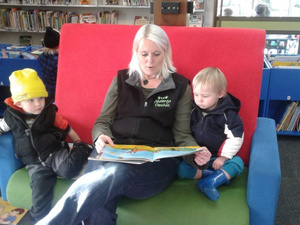 On Monday some of our friends went in the Akoranga Preschool van to visit our local library. The tamariki (children) were very excited as they settled into their car seats and got their seatbelts on, and as the van started moving Khaliiyah lead us in singing "The Wheels On The Bus"
When we arrived at the library we were joined by Evie and her mum. 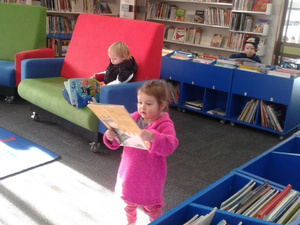 Some of the children settled straight into finding some pukapuka (books) to read and others who weren't as familiar with the library environment took the opportunity to explore. Jenny the librarian recognised some of the children who visit the library regularly, and was even able to guess which books they would choose to read. At the end of our visit we selected some books to loan and bring back to preschool to share with our hoa (friends). 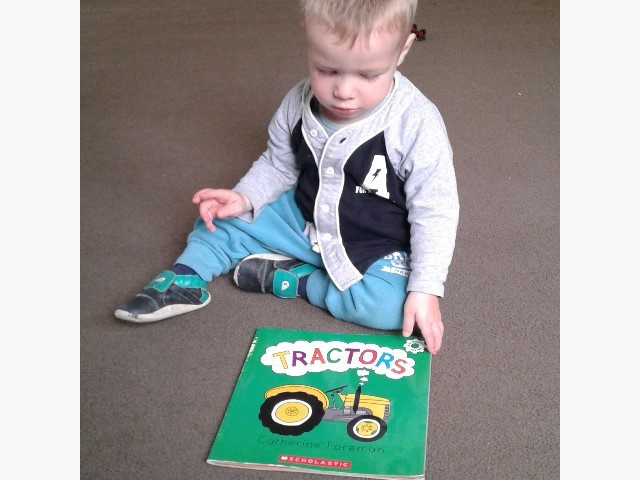 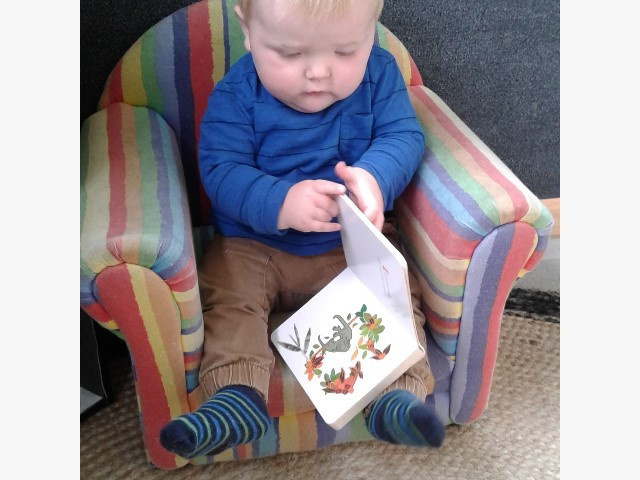 What a great way for our tamariki to develop an understanding that books can entertain and inform us, and to make connections with family library visits and the books they have explored previously both at home and at preschool.